When Wine Country drivers choose a Certified Pre-owned Mercedes-Benz vehicle, they’ll enjoy a barely used, recent year model at pre-owned prices. Vehicles that qualify for certification have undergone a rigorous 155-point inspection to ensure like-new quality and come with a number of perks. For instance, you’ll enjoy 24-hour roadside assistance, whether you need a tow in Napa, Vacaville, CA or anywhere else, but this just scratches the surface. Every Certified Pre-Owned Mercedes-Benz model now comes with industry-leading coverage: an unlimited-mileage warranty for 1 year that can be extended for up to 2 additional years. So no matter what your odometer reads, your confidence will know no bounds. To learn more about our Certified Pre-Owned vehicles, view the video below. At Mercedes-Benz of Fairfield, only those vehicles that we consider to be truly “like-new” qualify to become Certified Pre-Owned vehicles. Our Mercedes-Benz certified technicians examine every detail of every pre-owned car, inside and out to ensure you get a superb vehicle, backed by A Mercedes-Benz Certified Warranty. Learn more about the Mercedes-Benz CPO Certified Warranty. The Mercedes-Benz Certified Pre-Owned Limited Warranty, which provides vehicle coverage for 12 months with unlimited miles. Furthermore, the Mercedes-Benz 4-year/50,000-mile New Vehicle Limited Warranty still applies to Certified Pre-owned models that are less than 4 years old and/or under 50,000 miles on the odometer. This means that if your CPO Mercedes-Benz model is still under its New Vehicle Limited Warranty, you’ll enjoy the remainder of that original coverage before you start dipping into the Certified Pre-owned Limited warranty itself. 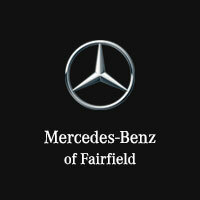 Check out our extensive selection of Certified Pre-owned Mercedes-Benz models, and then stop by our dealership. We have a one price policy that’s given us a reputation in the area for upfront, low-hassle salesmanship, and we can’t wait to help you cut to chase in your quest for the best car deal.